Learning is colourful with the Spin & Learn Colours Torch! Turn the glowing ring to see it change colour and hear it introduce cute animals – there are six bright colours to choose from! Exploration is now even more fun too: press the turtle button to use it as a real torch! 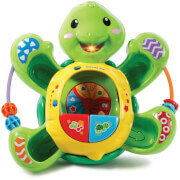 Pressing the three different chunky buttons triggers jolly music and letters introduced in a fun and lively way. This torch really helps to develop motor skills and a real sense of discovery. Features lots of fun melodies, sing-along songs and encouraging phrases that really bring this torch to life! Turn the ring to see 6 different glowing colours. Press the turtle button to use as a real torch. 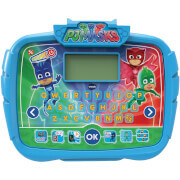 Learn letters and animal names. Develops motor skills and a sense of exploration. 2 sing-along songs and 15 melodies.